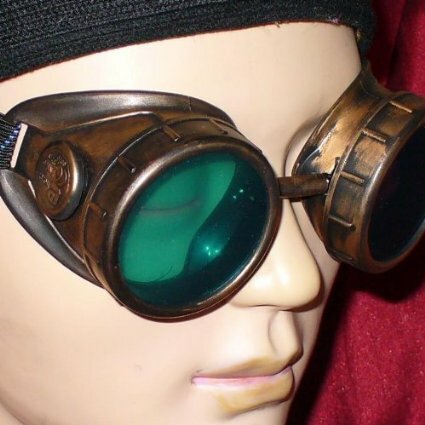 All black goggles with silver frames around clear lens. 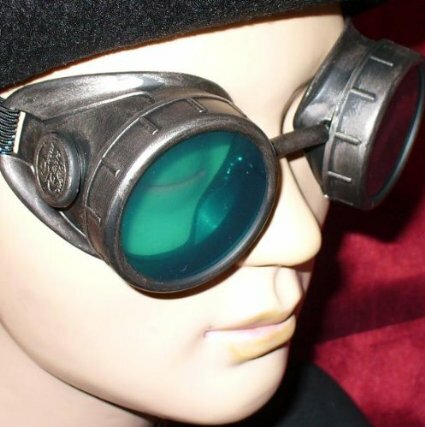 Black strap holds the goggles on the head for comfortable wear. 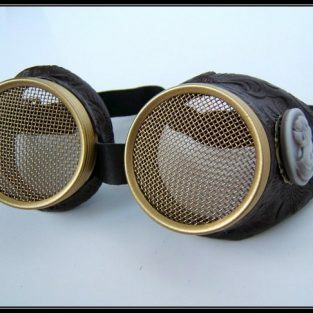 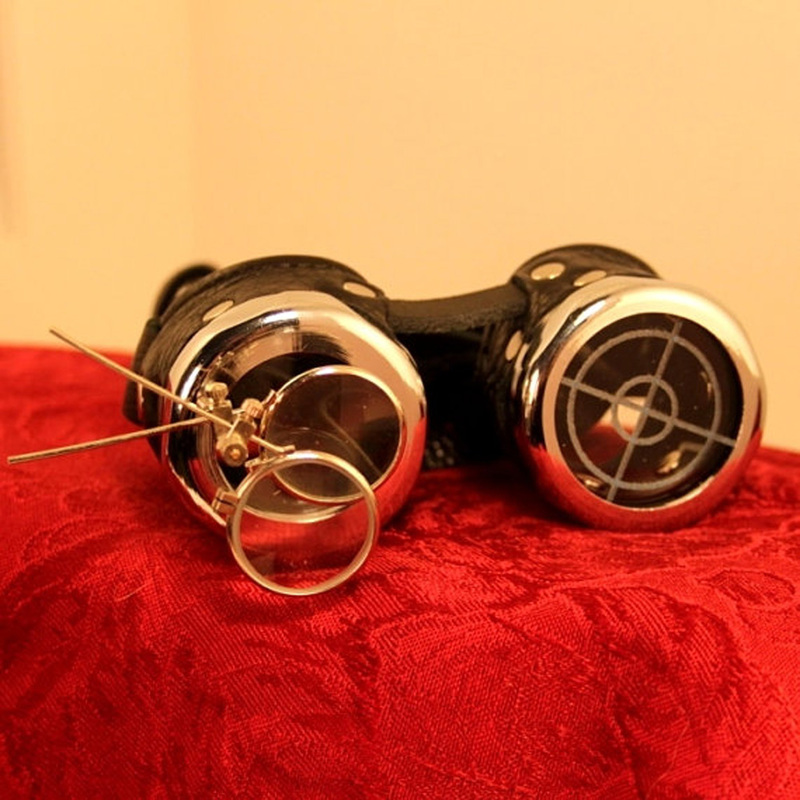 Need a pair of basic steampunk goggles that you can virtually match with anything? 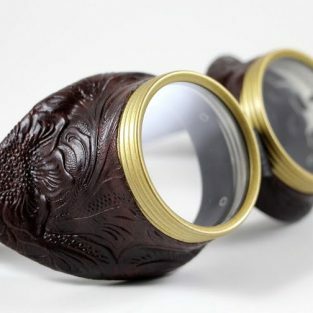 Well, you certainly found them. 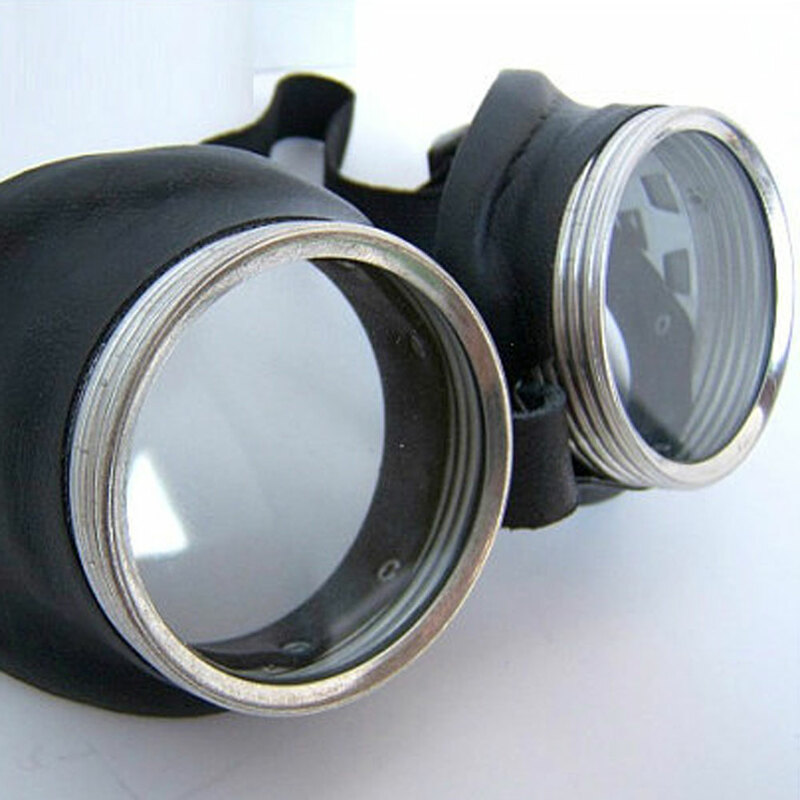 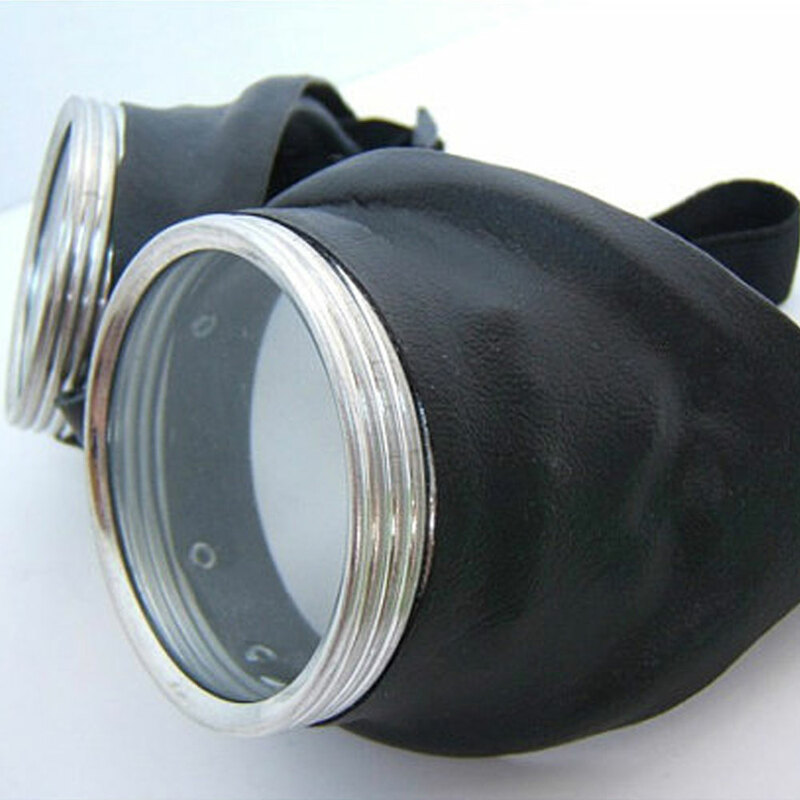 Solid black leather-esque goggles with silver frames encircling a clear lens, you can throw them on with any last minute Halloween or Comic Con costume. 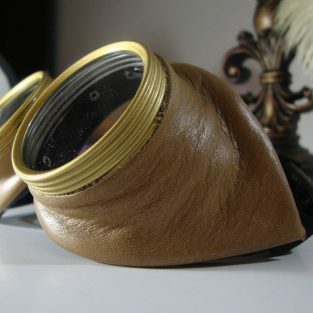 A thick black strap will hold them to your head comfortably for all day wear. 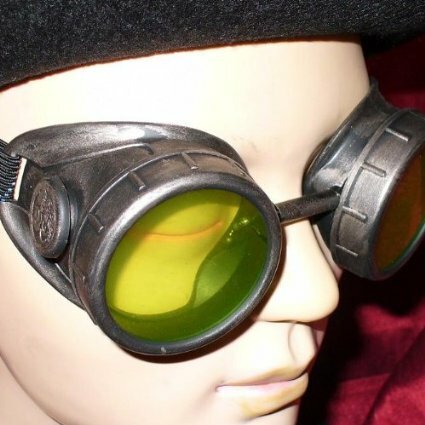 Be the first to review “Black Leather Style Steampunk Goggles with Clear Lenses” Click here to cancel reply.